The countdown was on. One more week until the Seder. Our cleaning and searching for chametz was right on schedule. We had been working hard for two weeks  cleaning closets, pockets of clothes etc. We were going to my in-laws for Shabbos Hagadol to avoid the danger of spreading challah all over the house. My in-laws would be spending Yom Tov with us and wouldnt need to do as thorough a cleaning. As I was contemplating how everything was running so smoothly, the phone rang. It was a close friend from out of town. 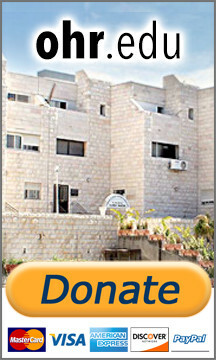 "Weve been invited to your area for all the Shabbos meals, but we need a place to sleep." This was a big test for me. Everything was going so smoothly! Why take a chance on someone bringing chametz into my home? 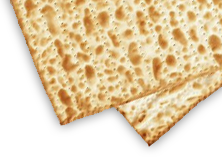 Then I remembered a lecture I heard about Pesach, that one of the reasons that the Jewish People went out of Egypt was because they made a covenant to perform chessed (kindness) to others. I said yes, but on condition that they not bring in any chametz. Before Shabbos I reminded them again: "No chametz!" We left Friday and returned Sunday night. Entering the house, we noticed crumbs on the floor. It wasnt coconut macaroons. It was bread crumbs. How could they do such a thing! Suddenly I remembered! Our next door neighbors left the country that day, and I had told them that if they had any food left, they could leave it in a certain closet in our house. I told them to please be careful to put it in a bag. I went straight to that closet and sure enough, there was a bag of chametz. I noticed a little hole in the bag. When we judge favorably, we protect the innocent.